Carl Abou Samah (in Arabic ???? ??? ??? ; born in Beirut, Lebanon on April 18, 1979) is a Lebanese-born Canadian musician based in Montreal (QC), Canada. He is better known by his stage name Karl Wolf. He has been a singer, songwriter and producer since 2001, releasing his first solo album Face Behind the Face on MapleNationwide/Universal in January 2006, followed by a second album Bite the Bullet in November 2007. His third album Nightlife was released on November 17, 2009. After 9 years with EMI Music, in March 2010 he signed a new recording contract in the United States with Universal Republic. When Karl Wolf describes the six months since the release of his solo debut, Face Behind The Face, as "just insane," he means it in a good way. A frenzied work schedule of shooting videos, doing promotional tours, and performing in Canada and abroad is paying off, as the world is responding welcomingly to this vibrant new star. Karl Wolf is a genuine triple threat of talent. A songwriter, producer and singer of serious skill and originality, he excels in all three roles on Face Behind The Face (released on MapleNationwide/Universal in January). As Karl sings on the title track, "I'm coming out for the whole world to see," and this is one memorable introduction. Since its release, the album broke in the Canadian Top 100 sales chart and spawned two hit singles, "Butterflies" and "Desensitize", with the latter track (featuring hip hop star Choclair) reaching the BDS Top 40 charts. 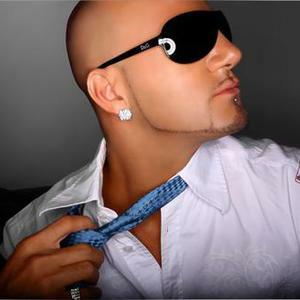 Face Behind The Face has been licensed internationally, and has made Karl Wolf an instant star in the Middle East. "'Butterflies' was at No. 1 for eight weeks on the radio there," explains Karl. "We had the biggest ever in-store signing at the Virgin store in Dubai." Wolf performed in Dubai as the special guest of the queen of modern r 'n b, Mary J. Blige, and he knocked the stadium crowd over. Add in personal props from Mary J., and you have what Karl terms "the pinnacle point of my career to date." Wolf is destined for many more career highlights. He may be new as a solo artist, but he is certainly no musical novice. As an award-winning producer and writer, he has been responsible for many multi-platinum selling albums. It is now his time to take centrestage, and he seizes his moment with true authority. Karl turned his back on lucrative offers of work with other artists to devote himself to Face Behind The Face. "I told myself that sooner or later I have to focus on my own music or it will just wither away. Now is the time," he explains. This meant becoming something of a recluse, burying himself in his own studio and working tirelessly on the record. "I locked myself in," recalls Karl. "I hardly went out for two years. I was a bum, I grew a beard, and would just order in pizza. I was obsessed but focused. I wanted to be right there when I had the inspiration!" The fruits of this creative compulsion are indeed tasty. Wolf wrote and produced all the songs on Face Behind The Face, and played virtually all the instruments himself. This is a musically diverse collection of songs, fusing r 'n b, dance, pop and hiphop stylings. It is given coherence via the gentle soulfulness of Karl?s voice and lyrics, while his beats are both imaginative and catchy, sometimes hinting at his own Middle Eastern background. Wolf acknowledges the likes of Boyz II Men, Michael Jackson and Brian McKnight as early influences and inspirations. "I feel my music has contemporary elements but it is not scared to be emotional," he explains. "It is just the music I like. I grew up in the '80s, and music was emotional then. Today, especially in r 'n b and hiphop, everyone wants to be hard." In musical and lyrical terms, Karl Wolf is a lover, not a fighter. Through his own family's history, he knows the consequences of war and violence, as his family was forced to leave their native Lebanon for Canada when Karl was just three. That background surfaces in the track "Summer Days (In Beirut)", and Wolf is not afraid to project positivity in his lyrics. "I am trying to be peaceful in my meaning and message. We are influential as singers, and I?d love to influence kids in a great way." The return of war to the country of his birth clearly saddens Karl. Plans to perform in Lebanon with Snoop Dogg obviously fell through, but he takes pride in the fact that "Summer Days" is having a positive impact there. "People there are adding the song to their Myspace sites, using it for healing," he notes. Face Behind The Face is an honest and personal document, and Karl Wolf's definitive musical statement. "I'm most proud of this record. This is the best piece of work I have created to date, and it is important I went down my earlier musical road, just so I could gain the experience needed to create this." Still just 27, Karl has long been the recipient of serious respect from his musical peers. He first made a real mark by writing for and co-producing "ETC..", the 2001 hit album from Gabrielle Destroismaisons. Two singles co-written by Karl reached No. 1 on the BDS Francophone Charts, and the disc earned him a Felix at the L'ADISQ Awards for "Best Mix and Sound of the Year." His work with Gabrielle brought Wolf to the attention of Antoine Sicotte, of the top-selling pop band Sky. Upon realizing Karl also had a killer singing voice, Antoine recruited him as Sky's new lead singer in 2002. Wolf co-wrote and co-produced the third Sky album, Picture Perfect (on Sextant/EMI), one that registered strong airplay across the country. The group also toured nationally, sharing stages with the likes of Snow and Shawn Desman. Karl and Antoine really hit the commercial jackpot with their joint work on the songs on the hugely successful Star Academie reality TV show. The subsequent album was the biggest-selling album in Canada in 2003, notching a phenomenal half-million in sales and earning Wolf a SOCAN Award for Most Popular Song. A Star Academie 11 sequel in 2004 was another big success, going double-platinum largely on the strength of Karl's writing and production. Add in production and composition work for such other artists as Emily, Mitsou and Jerome-Philippe, and a stint as vocalist with the multi-platinum selling rap group Dubmatique, and you have one highly impressive apprenticeship. Word of his talent has spread Stateside as well, with such stars as Justin Timberlake, Christina Millan and Mya all requesting that Karl send them material. There is plenty of life left in the filler-free Face Behind The Face. The upcoming singles "Cuz I Love You" and "Referee" further demonstrate Wolf's stylistic range, and his cross-Canada back to school Summer Days tour will confirm his prowess as a compelling performer. The world is about to hear the sound of the Wolf, and it is one they are destined to remember. "I'm excited, and there are a lot of good things to come," Karl declares. Indeed.